For your next camping holiday in Spain, come and discover the Vilanova Park holiday park, a real resort that promises comfort, leisure and easy living. Close to Barcelona (50 km away), near the Costa Dorada, and only 4 km away from the beach, it really is an unmissable place to stay for the whole family. Start your day off with a trip to the gym and make use of the campsite's top quality services. For both young and old alike, this campsite has something for everyone such as a trampoline and crazy golf. After a day filled with activities, relax in the wellness area equipped with a sauna and jacuzzi. To make your holidays even more convenient, the restaurant, bar, snack bar and shop at the Vilanova Park campsite are open all season long. This establishment also has a launderette and internet access. To be noted, a swimming cap is obligatory in the indoor pool. Vilanova I la Geltru Train Station (4 km). Nearest townVilanova I la Geltru (4 km). 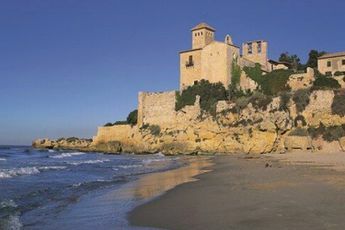 Ideally located on the Costa Dorada, the ancient fishing town of Vilanova i la Geltrú and modern day costal resort, is renowned for its 3.5 km of fine sandy beaches furnished with sailing clubs and business clubs. Camping holidays in a mobile home at the Vilanova Park campsite will enable you to discover Catalonia at your leisure. 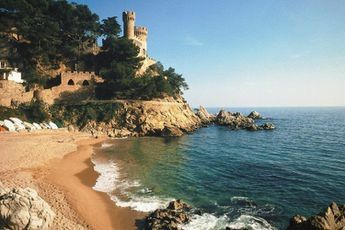 Barcelona, marked by the artist Gaudí, but also the medieval town of Tarragona, will enchant you. Unless you would prefer the attractions of PortAventura?